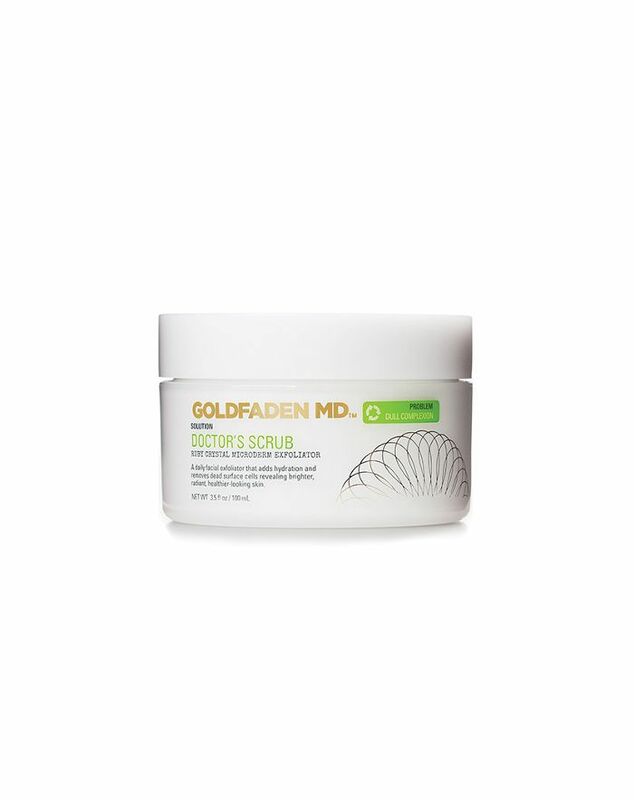 A few months ago I was formally introduced to Goldfaden MD at a Mecca Cosmetica showing. Described by the brand rep as a "dermatologist-developed, naturally inspired skincare" line, the company's ethos spoke to me on a personal level. When she also mentioned the range was free from parabens, mineral oil, alcohol, and silicone, my ears really perked up. I already knew I was going to love the products—I took the samples straight home. Top of my must-try list was the Doctor's Scrub ($110), which used to be mixed by the doctor himself in his office prior to it being available commercially. Keep scrolling to take a peek. Having long ago ditched grainy scrubs for chemical exfoliants, it's hard to explain what it is about this product that's got me shook. First off, the ruby crystal granules are so fine that they deliver satisfyingly soft results straight away. (Nothing else I've tried comes close.) Second, even though this scrub does a stellar job whisking away dead skin, it never feels stripping and doesn't leave me red or irritated. And—cross my heart—my Botox-free forehead looks smoother since using it. If I could afford to waste it on the rest of my body I would. I'm calling it the best anti-ageing facial scrub to use this summer.